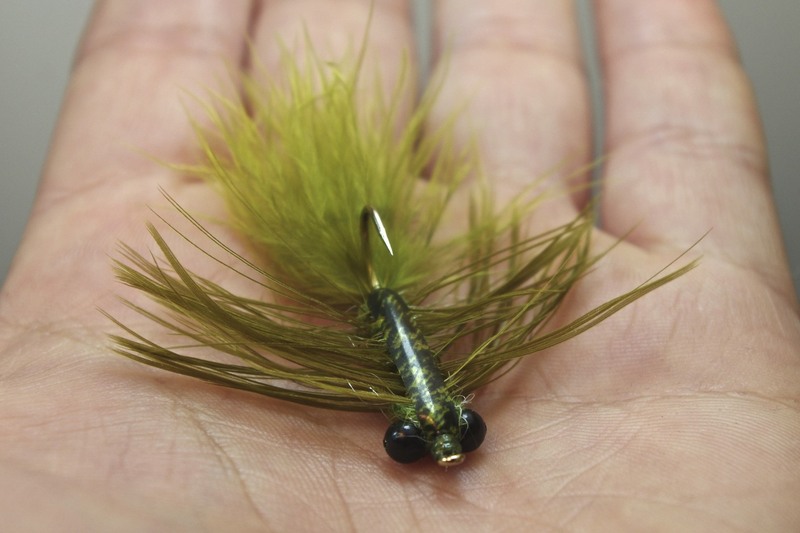 This fly is my go-to pattern. Over the years it has proved to be my top producer. Everyone has their “confidence fly", and this is mine. 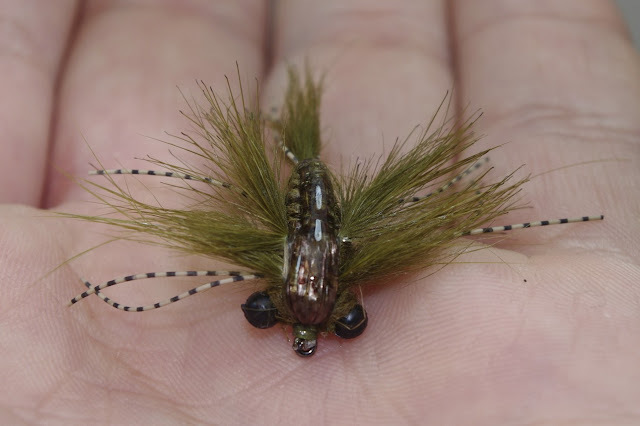 It’s a weightless rendition of a damsel or dragon fly nymph. 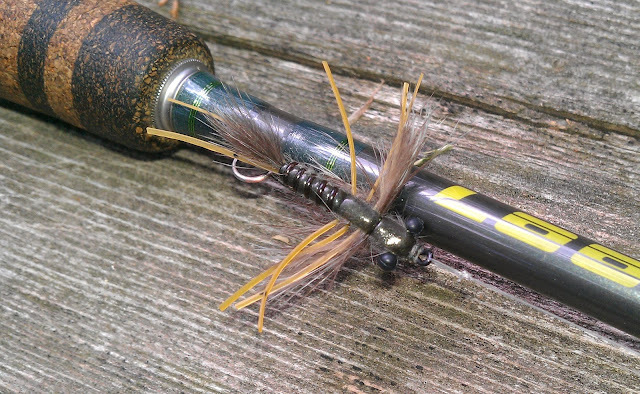 I’m able to target feeding, cruising, and laid up fish with this pattern, making it very versatile. 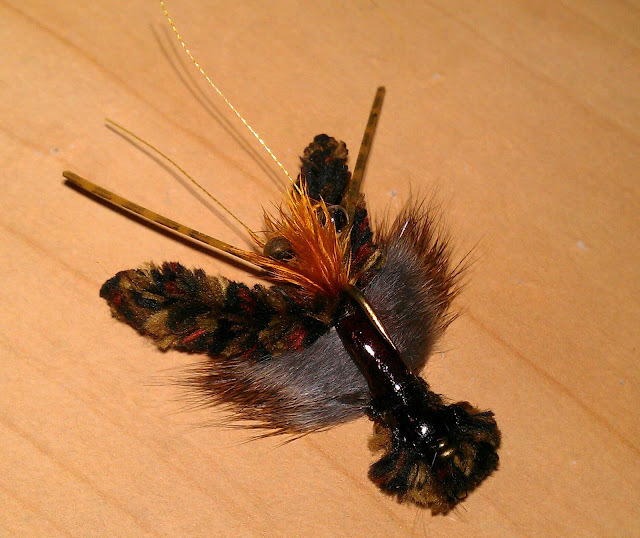 I fish this fly to mudders’ and cruisers by leading the fish at an estimated distance so that the fly has time to slowly parachute down in the water column directly into their line of vision. I fish the fly with no additional action what so ever. I just allow the fly to free fall to the bottom. 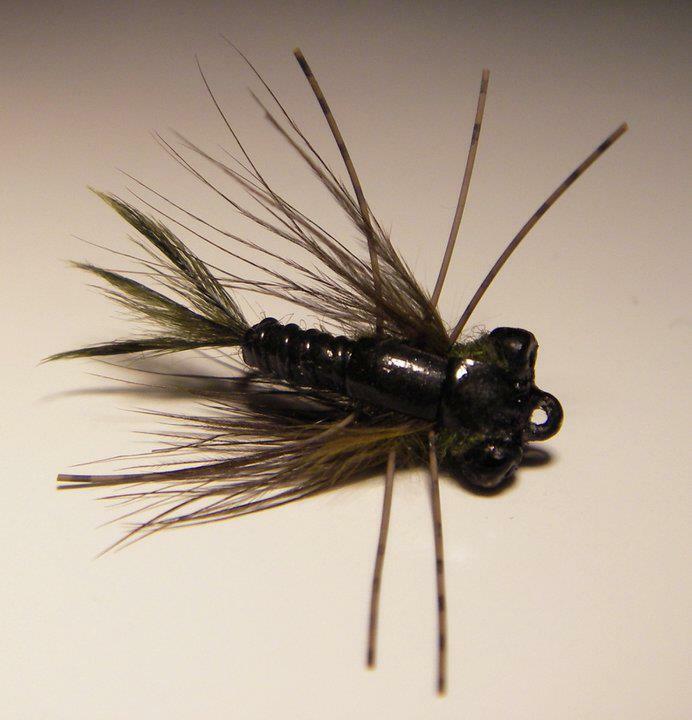 This fly is best fished with a loop knot to insure it falls unrestricted and perfectly horizontal in the water column. If their interested and willing, they’ll meander over and grab it…if not they’ll ignore it. If ignored, the fly is non-intrusive so the fish will usually not be alarmed by its presence, allowing another cast to be made. Also, if ignored don’t think they haven’t seen it, they have excellent vision. 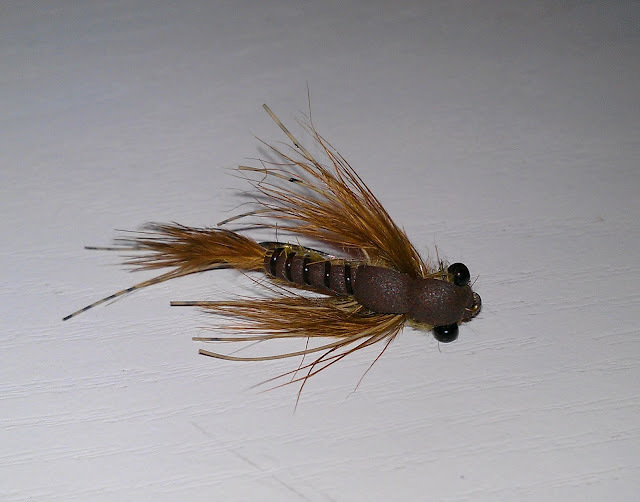 As for laid up fish, I fish this fly with an 18+ foot leader insuring that my fly line lands nowhere near the fish. I will over shoot my target, but never directly over top of it, always at an angle to one side or another. 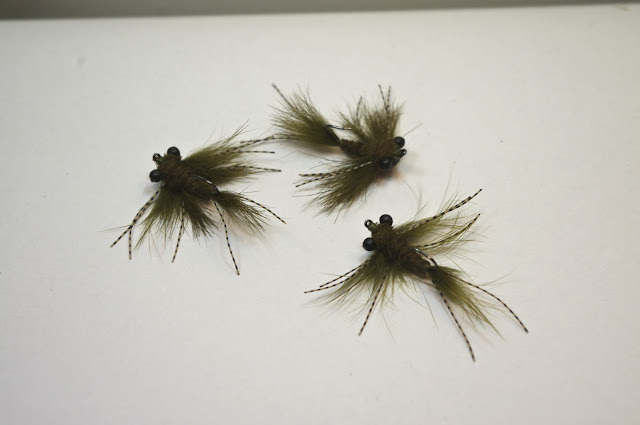 Once the fly lands I will SLOWLY strip the fly into the fishes line of sight, never directly up to the fish itself, remember, they have excellent vision. I will bring the fly within three or four feet of the fish at eye level and then let the fly free fall. Like I said before, if their interested they’ll come and get it. If not try again. 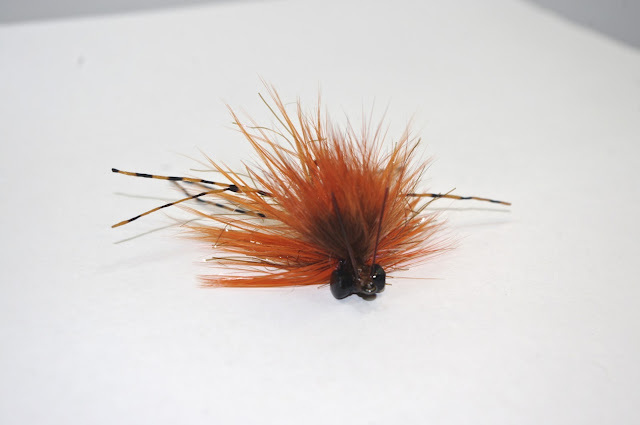 If you bring the fly up on the fish too close or too fast you’ll never get a second chance. Laid up fish are my favorite because there is so much room for human error. Challenge Accepted. 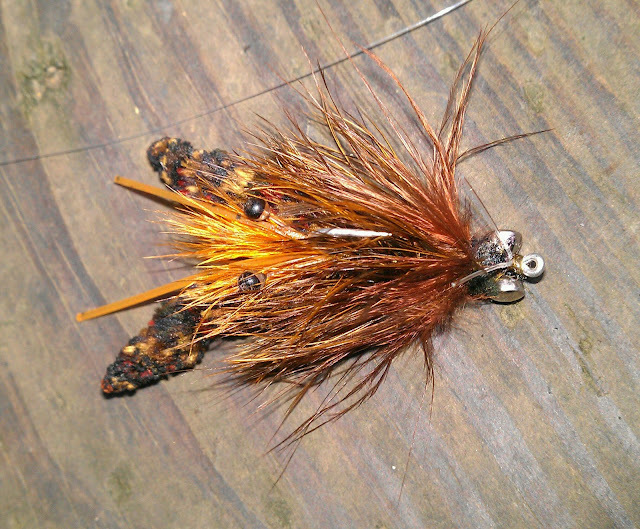 This pattern is just a modified damsel. Instead of scud back I tie it with craft foam. If I’m in a situation where the majority of fish I’m targeting are laid up, I will use this fly. The foam back modification allows the fly to free fall slower than my original damsel, giving the laid up fish more time to make a decision. The articulated damsel is another spin off my original. 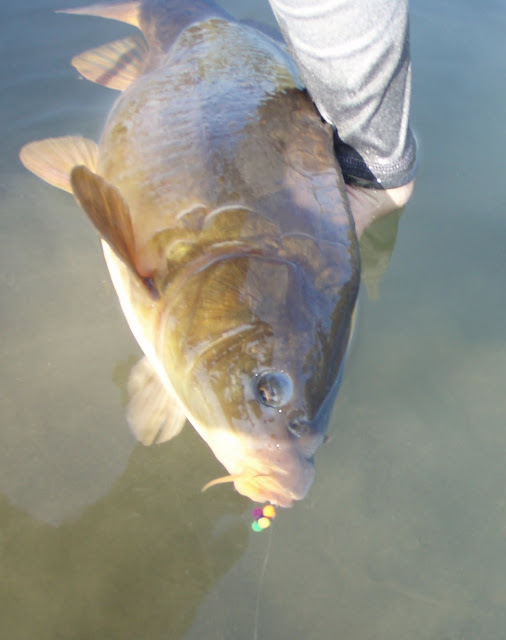 I’m always looking for a slightly new profile to show the fish because the small populations of carp I fish for become conditioned to a certain pattern after awhile. All it takes is something a bit different to rekindle their interest. 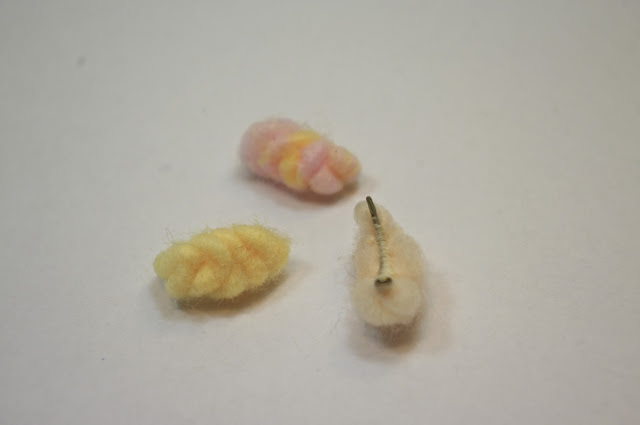 Unlike my damsel pattern that I created to resemble either a damsel or a dragon fly nymph. 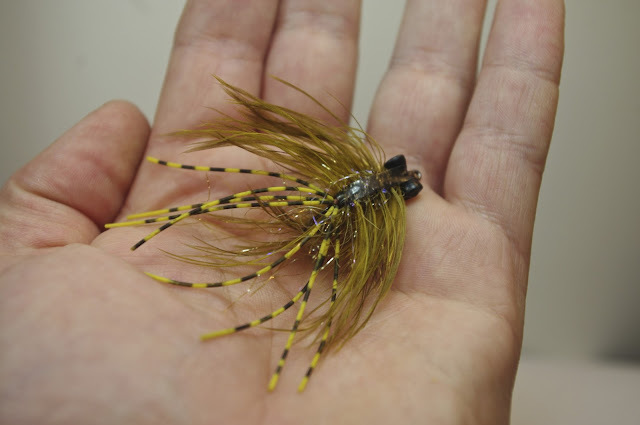 My dragon pattern is a more species specific rendition of a dragon fly nymph. Like I said before, fish populations will become conditioned to a certain pattern overtime. This one really saved me in the latter part of 2012. 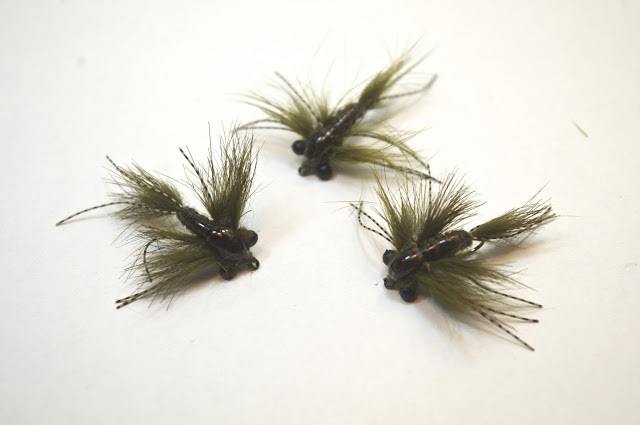 This pattern is also weightless and fished in the same manner as the damsel. It free falls slightly angled, nose down. Exactly like a fleeing dragonfly nymph trying to reach the safety of the benthos. 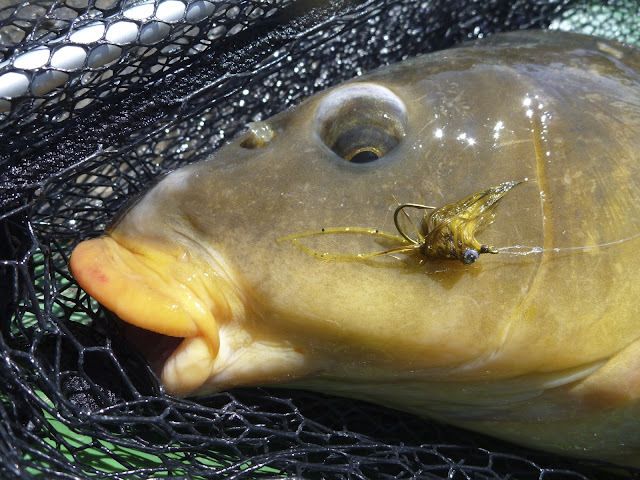 A perfect target for a prowling carp. This concoction is a unique attractor pattern I whipped up while bored one night. As crazy and outlandish as it looks, it actually works. I fish this fly as I would the damsel, leading the fish and letting it slowly sink. If they don’t see it, there is a good chance their blind, haha! This pattern I use on occasion when I have to present a fly at an insane distance. 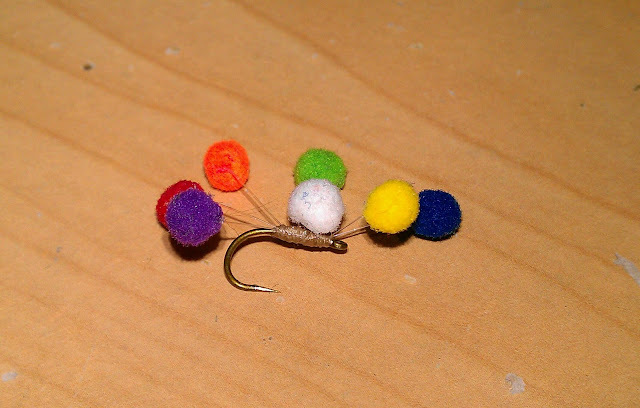 It's a simple sucker spawn with an opaque bead secured in the center. The pattern is large, bright, and sometimes terrifying. 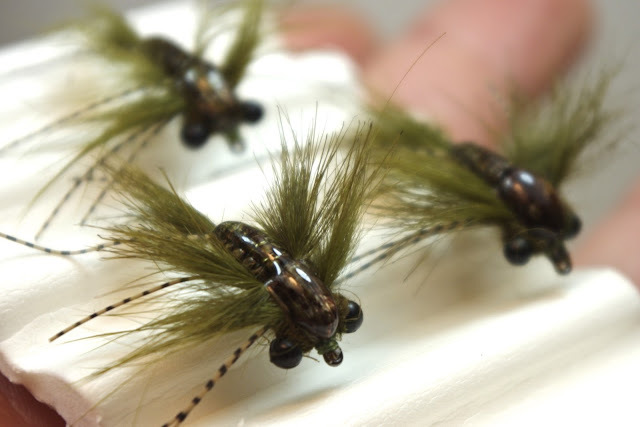 The bead acts like a parachute post on a dry fly, giving it excellent visibility. Making it easy to see when the fish eats. 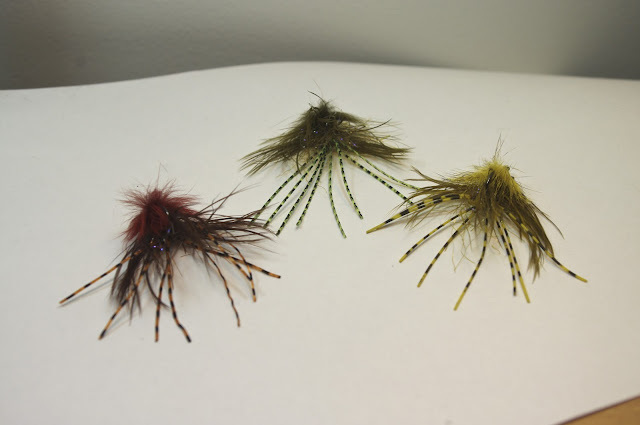 This pattern will only work a few times on a specific body of water before each and every fish knows whats up. 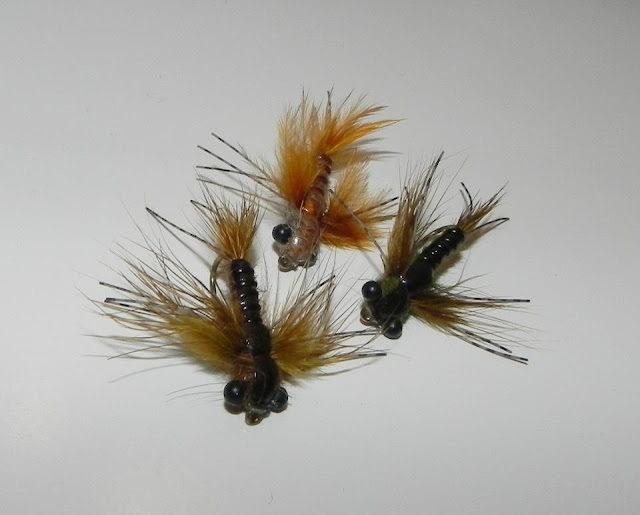 This pretty much sums up the entire contents of my fly box. 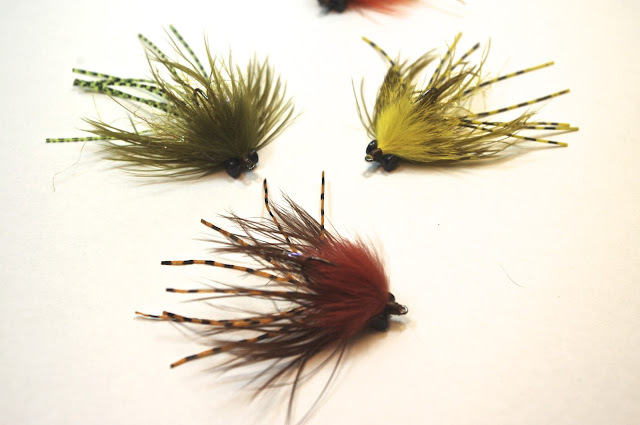 Keep scrolling to take a journey through Mark's fly box. 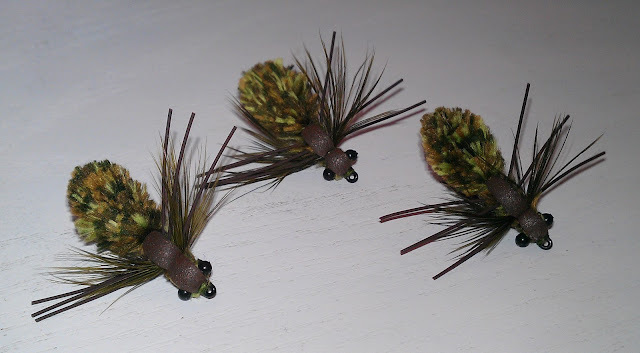 Over the years, my number one fly has been a larger more compact version of a sucker spawn imitation. This fly is tied with egg yarn. The importance of the egg yarn is paramount. On the backcast, it dries out and lands softly for a good presentation. However, it quickly saturates in water to sink to the bottom where it is fished. 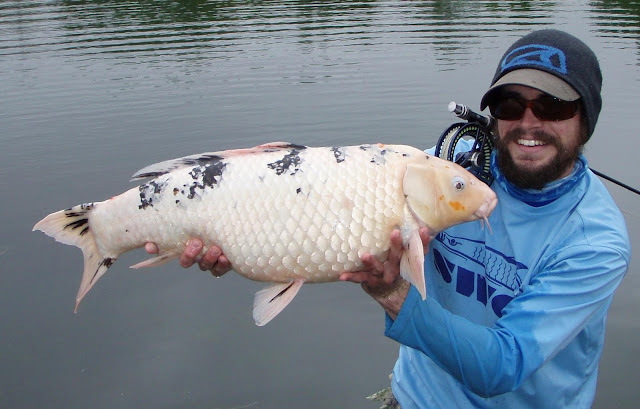 This pattern is deadly sight fished to mudding carp. 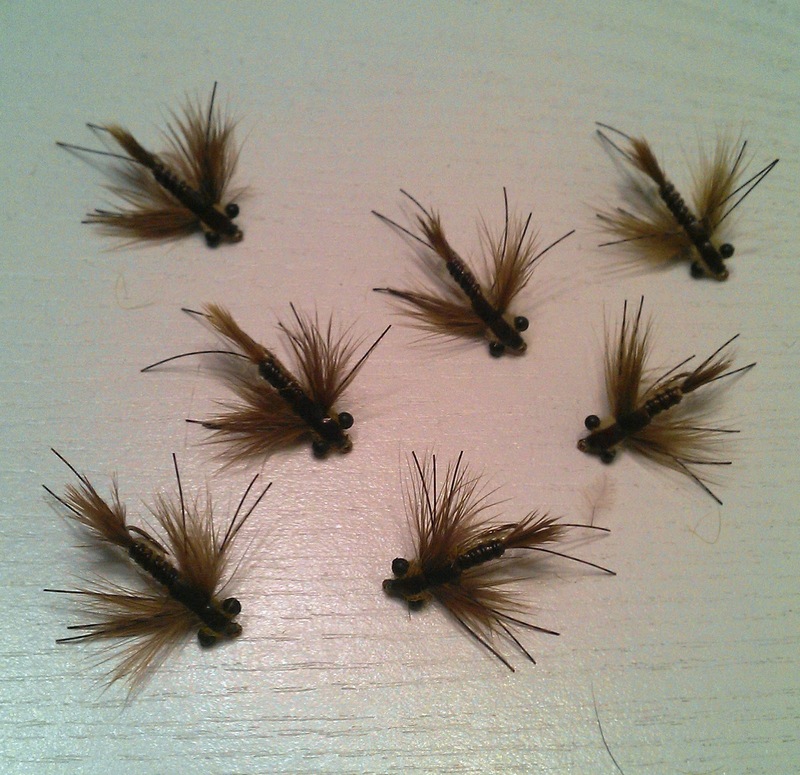 I like to wait for the fish to go down to mud to present the fly. As the fish emerges from his mud cloud, the spawn should be waiting for him on a platter. I also fish it to slow cruisers. I lead the carp a lot and have the spawn waiting on the bottom of their projected path. The bright colors allow for some really long presentations in the clear water of some of my home waters. 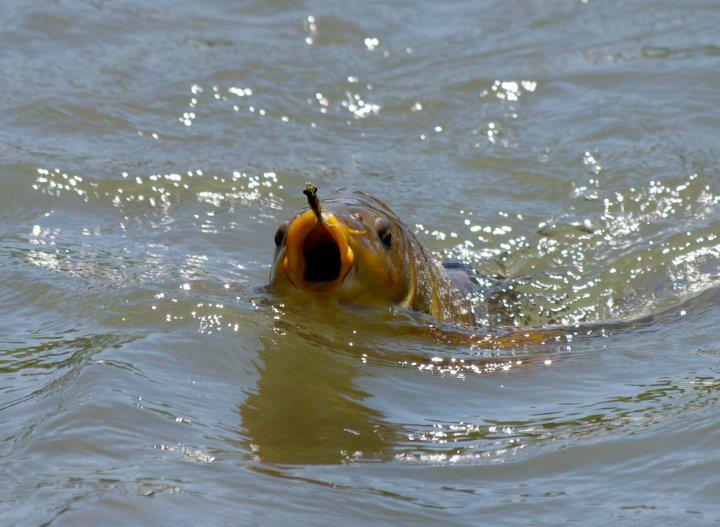 Carp that have not been targeted (virgins) by fly fishermen will take this pattern on the descent. 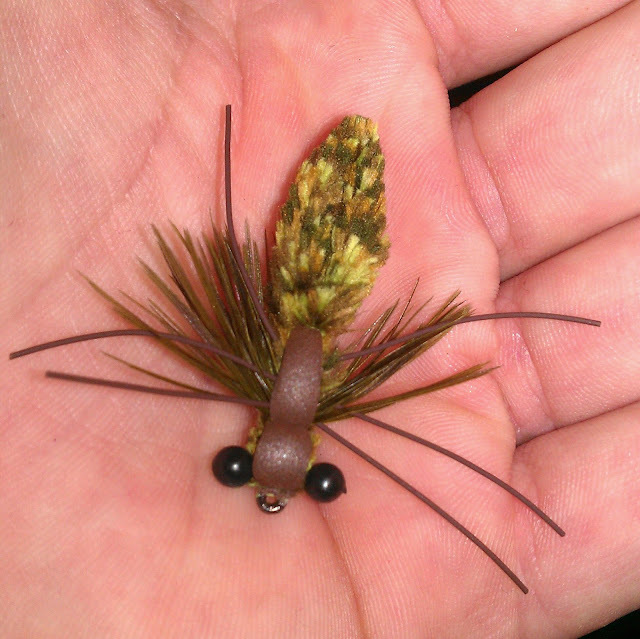 This is a modified woolly bugger tied to somewhat resemble a damsel/dragon. The Schlappen on either side is meant to slow its descent and create a parachute affect. This pattern is tied in three different styles: Light, Medium, and Heavy. 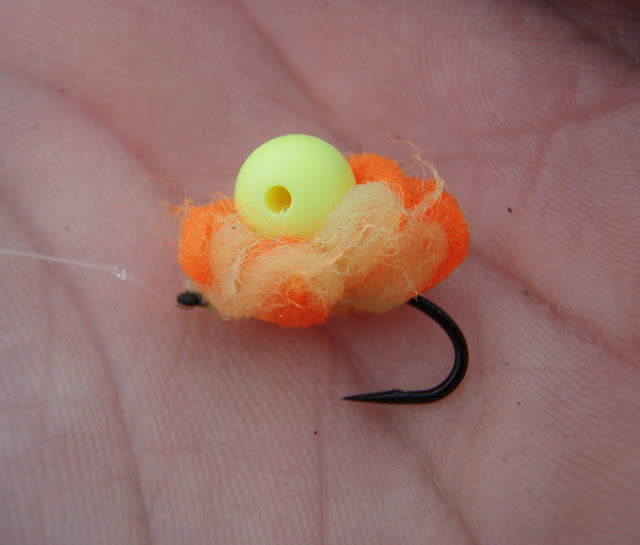 The light and medium weight patterns can be fished in the middle of the water column. The light is designed to hover and descend slowly. The medium will sink slow but can be stripped in the column for more aggressive fish. The heavy is designed to be fished on the bottom. This can be tied large or small depending on the scenario. Very versatile. Perkiomen Creek stripping the damsel bugger...oops did I just say a location? Flat on the top and bottom. 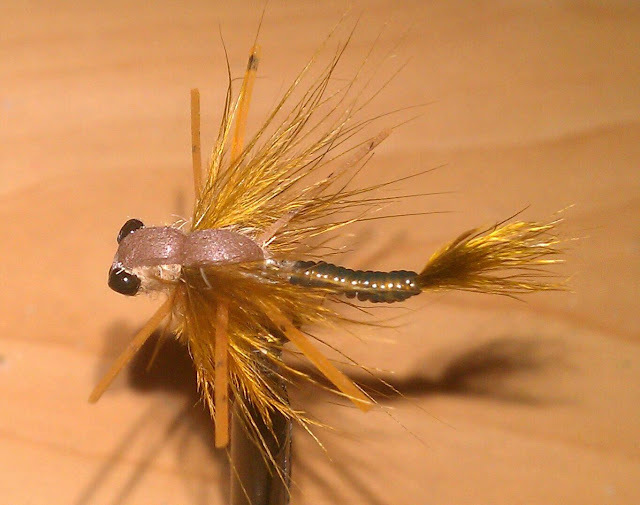 My take on Adam's "Damsel"
Easily my second best producer and the fly responsible for almost all of my large fish. It is tied on a thin wire barbless czech hook and is basically weightless. 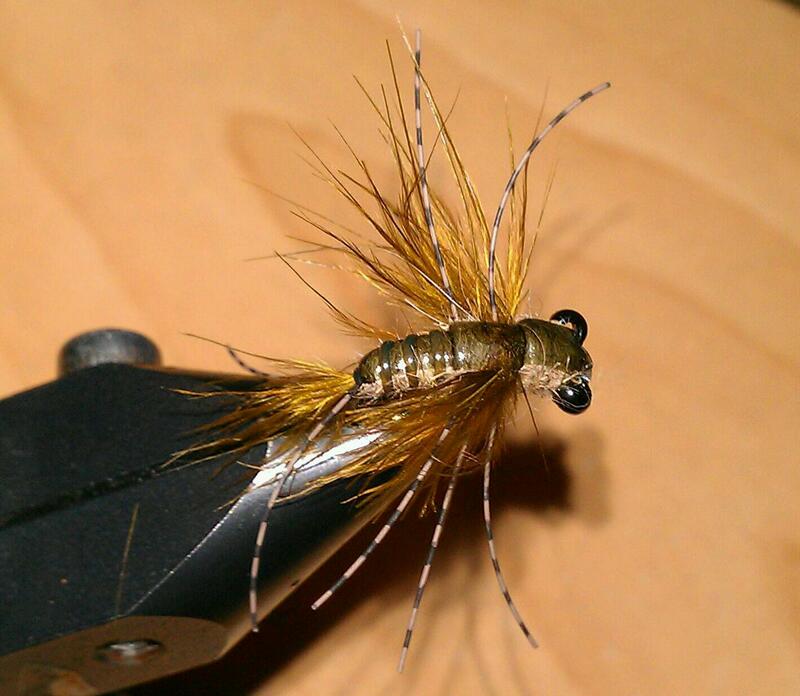 My largest fish have been taken in deep water, 1-2 feet below the surface where this fly hovers. It can be tied with a lead under body or with bead chain eyes to adjust the sink rate and dap for bank feeders. For more information on how to fish it just read Adam's synapsis of "the damsel". Be aware that this pattern is designed for still water carp. 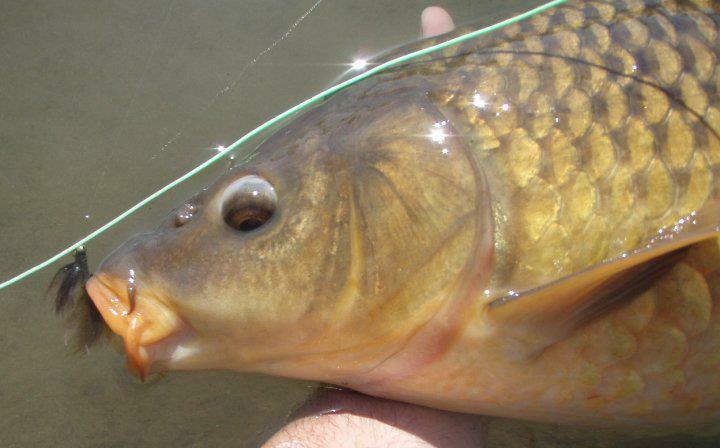 Fish found in areas with current will be able to put a lot more pressure on the hook than a still water fish. This hook is designed for European nymphing and I use it because it is extremely light and slows the descent of the fly. 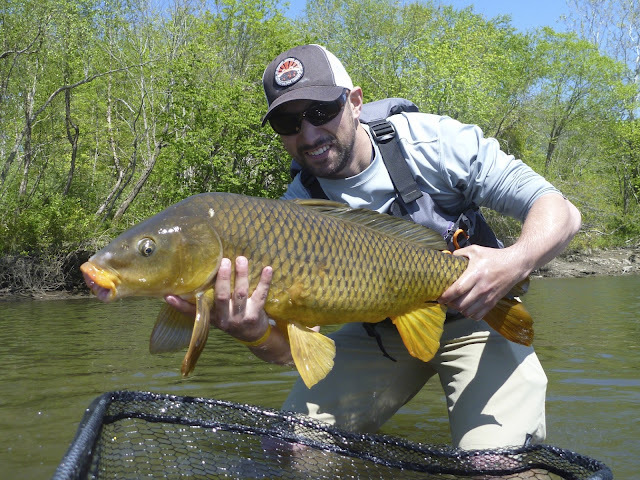 Keeping this in mind, I have caught carp close to 30 lbs. on 3x using this pattern with no problems. 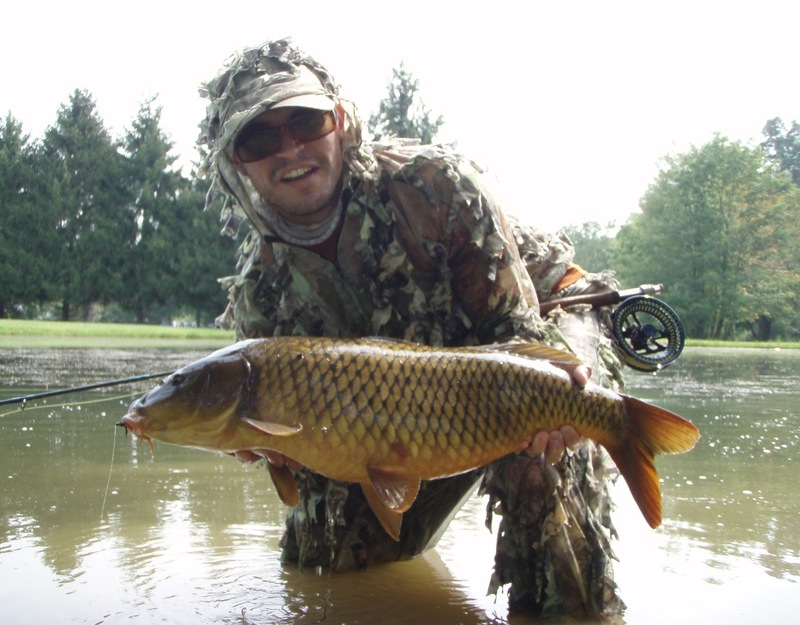 I have never had a carp bend this hook but I am 100% positive that a big river fish will. This is a crayfish imitation designed to replicate a crawdad in the defensive position. It is as wide as it is long and is inspired by Diablo Crabs for saltwater species and several different popular carp imitations. The use of long webby Schlappen for the body material creates its width. It easily collapses on the descent and strip and juts out whenever stopped. It is heavily weighted by dumbbell eyes to get it down quick, ride hook up, and perform a slight headstand. 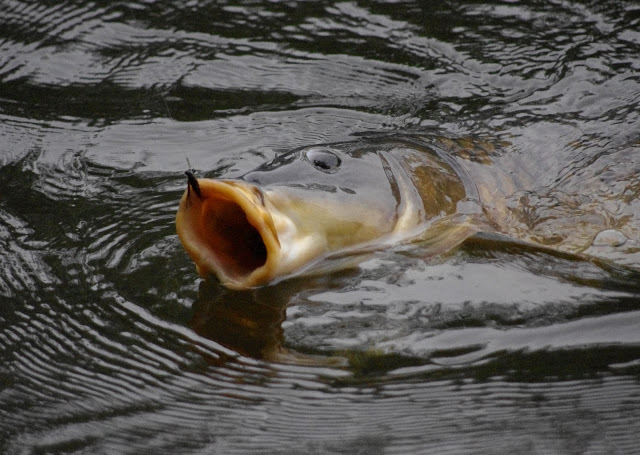 It is designed to be used for large and aggressively feeding carp in rivers that are looking for a big meal. It can also be tied with a weed/snag guard for uneven terrain.